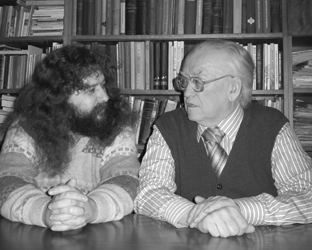 Dobrodomov I. G., Pil’shchikov I. A., Leksika i frazeologiia “Evgeniia Onegina”: Germenevticheskie ocherki [= Vocabulary and Phraseology of “Eugene Onegin”: Hermeneutical Essays], Moscow: “Iazyki slavianskix kul’tur”, 2008, 312 p. (Philologica russica et speculativa; T. VI). This book is a collection of sketches devoted to those “obscure passages” of Eugene Onegin which are difficult to interpret due to peculiarities of word usage and the specifics of early-nineteenth-century poetic language. It focuses on rare and archaic words and turns of phrase which have been completely forgotten or which have changed in meaning. The authors examine historical shifts in the semantics of Pushkin’s lexicon in a broad linguistic and cultural context. Their study of poetic usage proceeds on the basis of a detailed analysis of lexicographic data. Much of the book is devoted to the use of foreign words and words borrowed from other languages, as well as proper nouns. Throughout, the authors discuss issues of poetic semantics in close connection with issues involved in the study of Pushkin’s textology and spelling. This book will be of interest to Pushkin scholars, historians of Russian literature and language, lexicographers, textologists, specialists in linguistic poetics, and all readers who want to gain a deeper understanding of Russian culture of the Pushkin era.